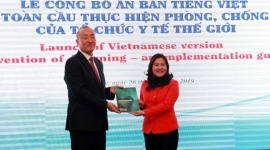 Vietnamese Minister of Labour, Invalids, and Social Affairs Dao Ngoc Dung and Lao Minister of Labour and Social Welfare Khampheng Saysomepheng co-chaired the sixth Vietnam-Laos Ministerial Conference on Labour and Social Welfare in Vientiane, Laos on March 28. 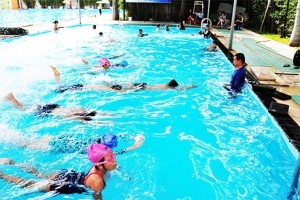 The event was part of the Vietnamese minister’s Lao visit from March 26-28. Speaking at the conference, Minister Dung said the event is timely, given the context of the growing Vietnam-Laos relationship. 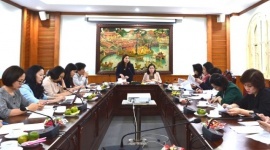 Over the past two years, Vietnam has offered a number of scholarships for master’s, doctorate, and short-term training to Laos in the fields of labour and social welfare. Vocational training between the two ministries has been enhanced via experience sharing and short-term training for teachers. 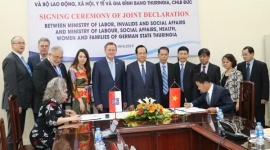 Regarding labour cooperation, the minister asked Laos to continue providing support for Vietnamese workers employed by investment projects, adding that the Vietnamese Ministry of Labour, Invalids, and Social Affairs (MoLISA) will work closely with Lao agencies to raise public awareness of legal regulations regarding guest workers, as well as enhance collaboration between the two nations’ enterprises in labour supply. 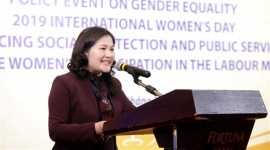 Saysomepheng, for his part, said suggested the conference review the outcomes of bilateral ties in labour and social welfare, including implementation of the Laos-Vietnam labour cooperation agreement and the minutes of the fifth Ministerial Conference on Labour and Social Welfare, and outline a plan for future cooperation. Both sides heard a report on the outcomes of a thematic workshop held the day earlier, and updated each other on their new legal regulations on labour, employment, workforce training, and social welfare. On the occasion, Minister Dung presented the Friendship Order to 11 units of the Lao Ministry of Labour and Social Welfare in honour of their active and effective contribution to the development of the great Vietnam-Laos friendship, special solidarity, and comprehensive partnership. 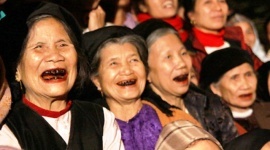 The Lao minister also granted the Friendship Order to 16 MoLISA units. The MoLISA took the occasion to present artificial limbs, vocational training and office equipment worth 4.5 billion VND (195,000 USD) to the Lao ministry. During a reception hosted by Lao Deputy Prime Minister Sonexay Siphandone, Minister Dung informed him about the outcomes of coordination between his ministry and the Lao counterpart over the past years and their joint plans in the near future. The host leader lauded their past cooperation results, especially in personnel training in the field of labour and social welfare for Laos. 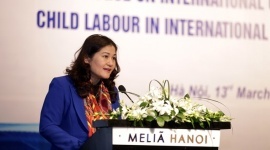 At a Vietnam-Laos dialogue on labour and social welfare, co-chaired by Deputy Minister of Labour, Invalids, and Social Affairs Doan Mau Diep and Lao Deputy Minister of Labour and Social Welfare Baykham Khattiya, both sides heard a report on the outcomes of cooperation in labour and social welfare for the 2017-2019 period and plan for 2019-2021. The event featured discussions on labour and employment, human resources development, and cooperation in social welfare.